English - BIG BUDDHA Restaurant - Thailändische und vietnamesische Spezialitäten! 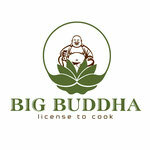 BIG BUDDHA-Restaurant uses only the most natural and fresh ingredients, herbs and spices. Lemon grass, tamarind, galangal, kaffir lime, coriander and chilli are processed fresh. Typical for the Vietnamese cuisine is the infinite combination of the five flavors, sharp, sweet, salty, bitter and sour. The art is to combine them in ever new, exciting ways. 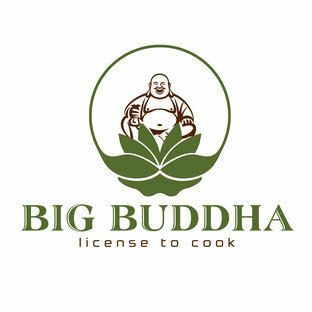 BIG BUDDHA-Team tries to present the authentic South-East Asian cookery with its menu. The dishes are refined according to their own and secret traditional recipes. Seasonally changing dishes allow our guests to learn the diversity of the original Asian cuisine. Likewise, you will find a few vegan dishes, which we point out with a vegan symbol. That is why we named our restaurant BIG BUDDHA as a 'Temple of delicious Harmony'. The decorated brick building in Raunheim was built in 1895 and housed a kindergarten. Later it was restored to a gastronomy. The former "Kastanienhof" Restaurant is owned by the family Zinonidis and has been a favorite meeting place for a wide range of political and social events. 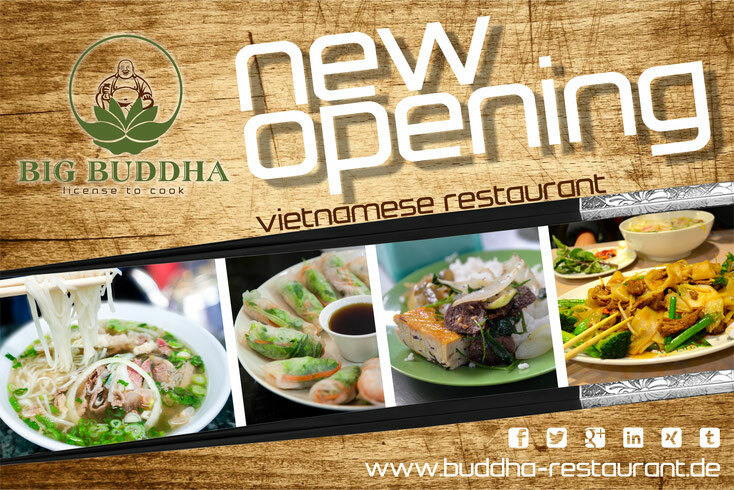 Today, the BIG BUDDHA-Team wants to delight the residents of Raunheim, business travelers and guests with their Vietnamese cuisine in the modernized but homely old-fashioned hall with traditional beige tiled stove and revive the brick building "Kastanienhof". Our guest room is ideal for birthdays, family celebrations, travel groups as well as events and can accommodate up to 50 people inside, 40 outside. Asian lifestyle at BIG BUDDHA-Restaurant!